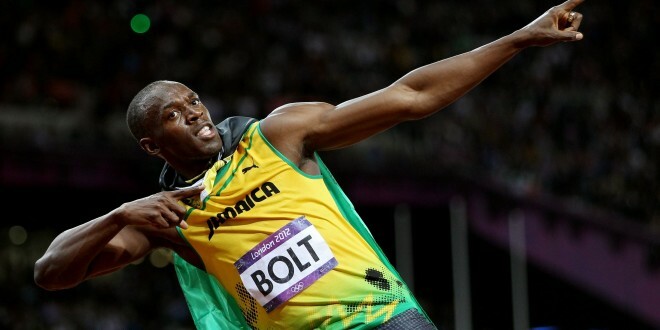 A news story appeared this week in which Usain Bolt is said to be welcome to train with Borussia Dortmund. He’s a lifelong Manchester United fan. So could we see Bolt replace his running spikes with football boots after he retires from track in London at the Athletics World Championships in summer 2017? You need more than speed to be an elite level footballer. Bolt also has strength, and he may be good in a kick about, but the switch from solo to team sport, not to mention the gulf in skill level with professional footballers who’ve honed their skills their whole life, make this a romantic, but impractical idea. There’s as much chance of Bolt playing professionally for Dortmund or United as there is of Wayne Rooney representing Jamaica as a sprinter at the next Olympics. If Bolt makes the switch to top-level footballer, there’s still hope for me, at 41. Bolt is sponsored by Puma and so are Dortmund. It makes commercial sense for both parties to work together, especially as Bolt’s imminent retirement will see him look to maximise his earnings across media and advertising platforms to maintain the lifestyle to which he has become accustomed. With the Athletics World Championships taking place in August, don’t be surprised to see Bolt pop up in some training ground pics at Dortmund or United as pre-season gets underway. But from an insurance point of view, I’d be very surprised if he or Dortmund were prepared to risk injury that could affect their seasons. Non-contact fitness work, and maybe some keep-ball, is as far as I expect this to go. 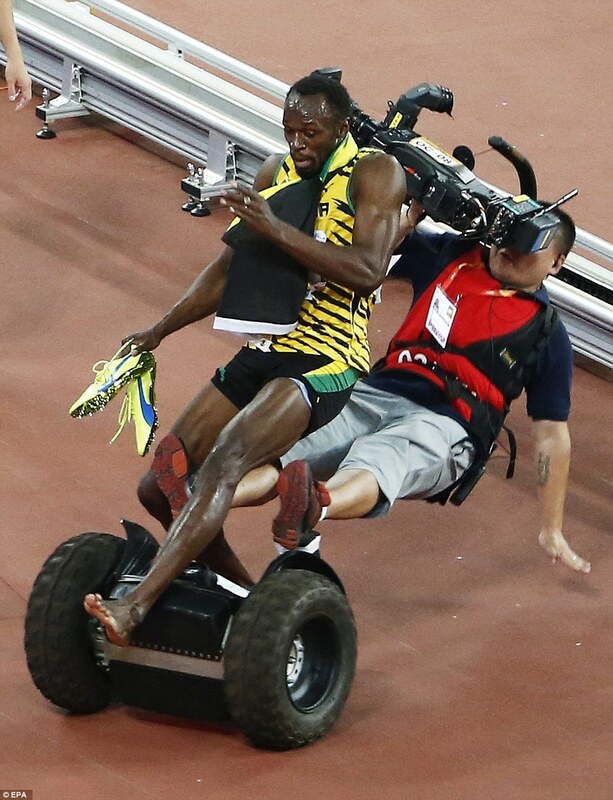 He just about came out unscathed from a run-in with a myopic Segway cameraman, but football studs and Usain’s feet are not compatible while they’re his chief moneymaker. Once he’s fully retired, maybe he’ll turn out for Manchester United in a testimonial. But for Bolt, professional life after athletics is likely to involve media work, punditry and advertising.